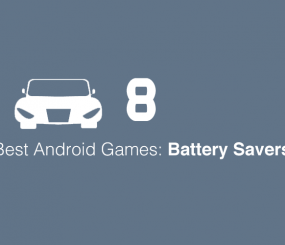 It’s the 7th ‘Best Android Battery Savers’ post, and we’re back to bring you 5 more great Android games that the M2 Community enjoys the most. All data in our posts are anonymously collected by M2AppMonitor, which can help you see how your apps are using up your phone’s resources such as battery, data, memory, etc. 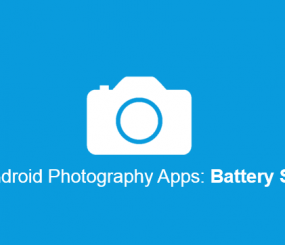 It’s clear that Android battery is one of the most discussed resources for Android. Want to see more addicting Android games that are great for your battery? Check out part 6 of the best Android games with low battery drain rate if you missed our last post. If you want to submit suggestions on certain apps that affect your phone, feel free to write to us in the comments below! 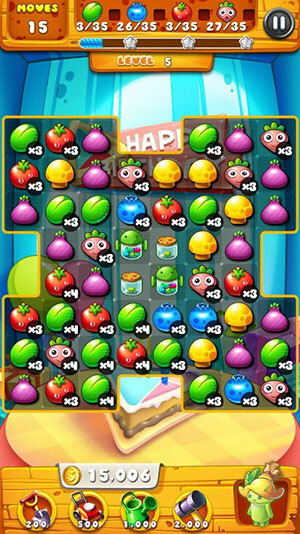 Garden Mania is an entertaining game where you need to switch and match three or more crops to collect and target new levels. Garden Mania’s Android battery saver rate is on average 59% less than what is considered poor (694.26mW). 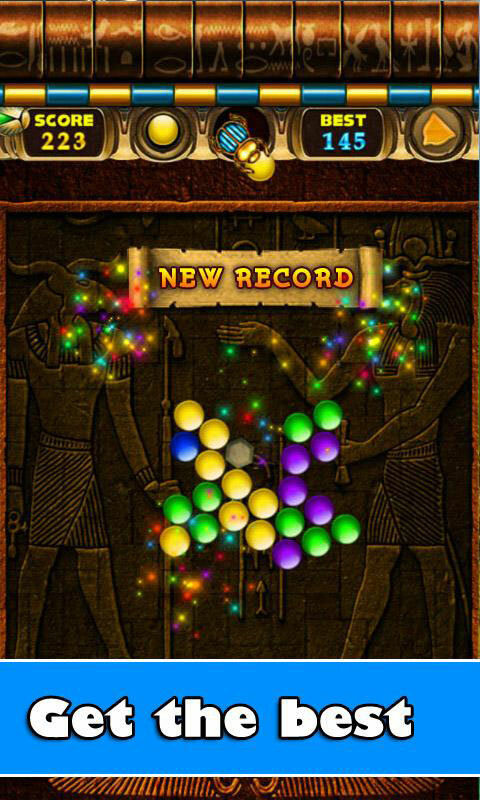 The bubbles are rotating on the board, try to shoot them all out with Bubble Sniper. Bubble Sniper’s Android battery saver rate is on average 59% less than what is considered poor (690.69mW). 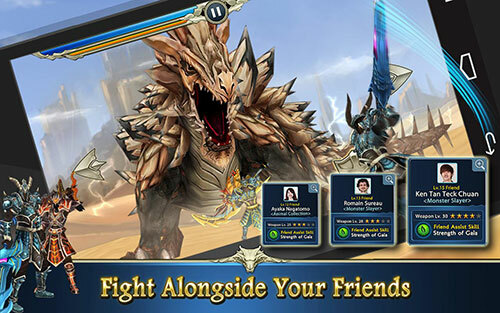 Monster Blade is a 3D monster slaying action game that we hope you’ll enjoy. Monster Blade’s Android Battery Saver rating is on average 60% less than what is considered poor (688.99mW). 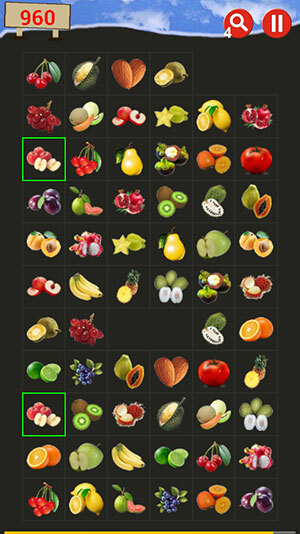 Try to remove all tiles by matching the images in Onet Fruit. Onet Fruit’s Android battery saver rate is 60% less than what is considered poor (682.46). 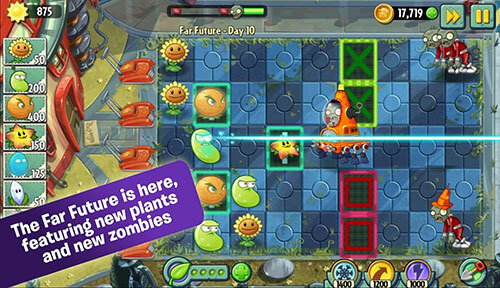 Coming in first on today’s “top android games great for battery” post is Plants Vs Zombies 2, with its Android battery saver rating on average 60% less than what is considered poor (682.33mW). 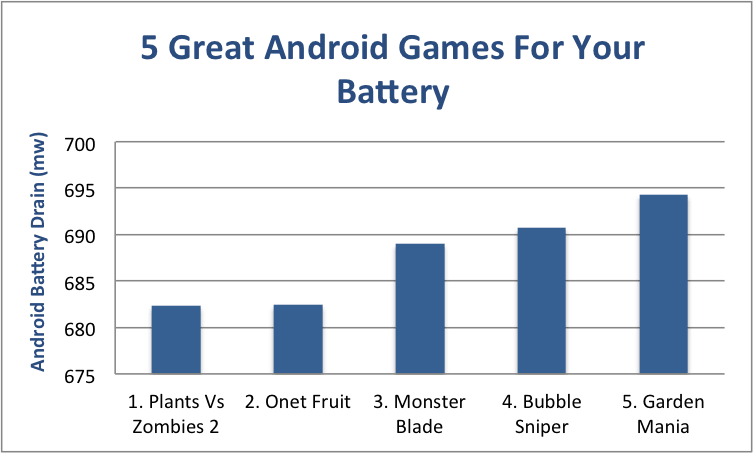 That’s it for our 7th post on Android battery savers for games, helping you find the best Android games that consume the least amount of your battery. 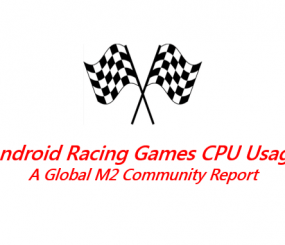 We hope you all enjoy playing these awesome new games, and if you haven’t already, download M2AppMonitor to help you find better apps to see how your apps perform on your phone.